You know the difference between going out and going out out? Well today, let introduce you to the concept of going in out. 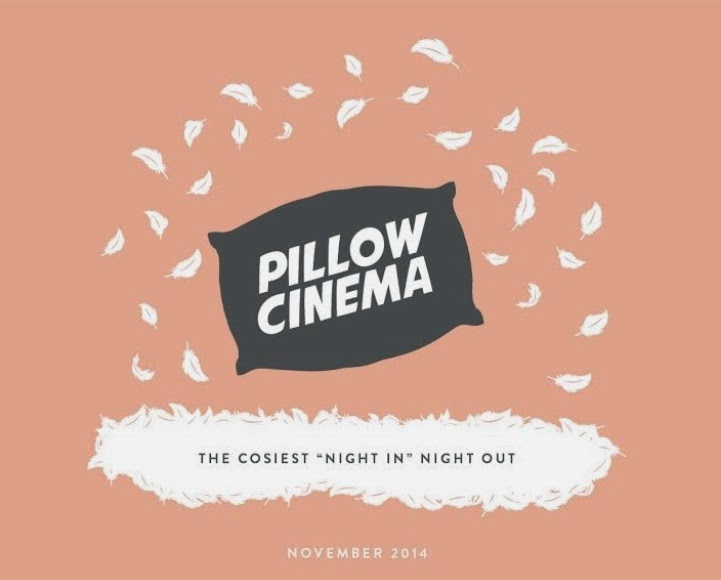 Hot Tub Cinema have made a comeback with the Autumnal equivilent of their summer screenings: Pillow Cinema. And while I wasn't quite game for sharing a hot tub with strangers, this I can get down with. Hosted in the former Shoreditch Underground station (who knew that existed?) with massive floor cushions and soft furnishings, I'm loving the idea of spending Sunday 9th November lounging without the guilt, because I will have technically left the house. And get this, you're only allowed entry if you bring a pillow and once you get snuggly, a waiter service will bring drinks to you throughout the screening. Not having to get up and eliminating the whole running half-crouched across the screen mid-showing thing? Double win. I couldn't wait to tell you about this one as it's sure to be a sell out. I've bought tickets for Ben and I to watch Chef as part of his birthday present as we never got round to it when it was in the cinema. Other screenings include Amelie, Up, Wolf of Wall Street and... hold onto your knickers...a Ryan Gos-fest triple bill. There was also a screening of Fight Club (with pillow fight thrown in for good measure), but I thought better of that as we (read: I) have been known to take play fighting a little too seriously. I can't wait for this. Screenings take place between 6th - 9th and 11th - 16th November. Buy your tickets here.